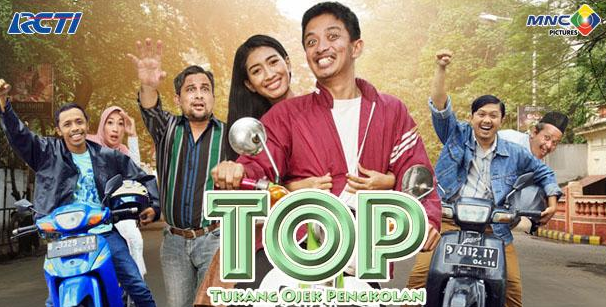 Often watched Sinetron Tukang Ojek Pengkolan di RCTI? if often, it means our fate is the same, equally becoming a fan of TOP Sinetron. But if you have not, then I will describe just a little. 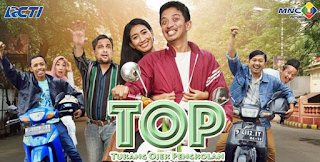 This soap opera known as TOP is a story that describes the daily life of the motorcycle taxi drivers and their citizens in a village called Rawa Bebek. Although the story played by the players is a simple story, but packaged in an interesting way. So no wonder Sineteron is the much-loved audience and now has reached more than 900 series. What is interesting and what to do with blogs? If we often watch TOP Sinetron then we will memorize the style of each cast. Si Mother: her trademark is that every word will be tinged with the phrase "Like it! "If he talks to other people. The Bobi : his trademark is like tidying his bangs if he's happy anymore. Si Purnomo: his trademark is like using the word " iyaa dong ... !! And many more, the average player has a certain style or particular. This distinctive style is one of the attractions of every player. The story is easy to understand because it only separates the activities of daily life only, just the packaging is made as attractive as possible and make people laugh because of the behavior of the cast. Style or characteristic cast in the soap opera Top if in my opinion can be used to determine the theme of our blog and writing style. A blog that has a pretty thick enough is Agus Mulyadi blog. The blog contains everyday stories that are packed with a funny style and always soled with the Java language. If writing in blogs using lightweight language style, not like writing a thesis then the reader will be more happy in reading. But if the weight seems like the reader will get dizzy. Wowww.... Ibu Mbak Nisa suka juga toh nonton TOP, berarti kami sama hobinya,hehehe..... ceritanya ringan, menarik dan setiap Pemerannya memiliki gaya khas masing2.